My book, “The Rolling Stone Years” is one year young this month. And what a year it has been, with a book tour that took me to cities and countries far and wide, from Russia and Australia, to the UK and the Netherlands, from NYC to LA to San Francisco to Kansas to Tucson to Austin and beyond. 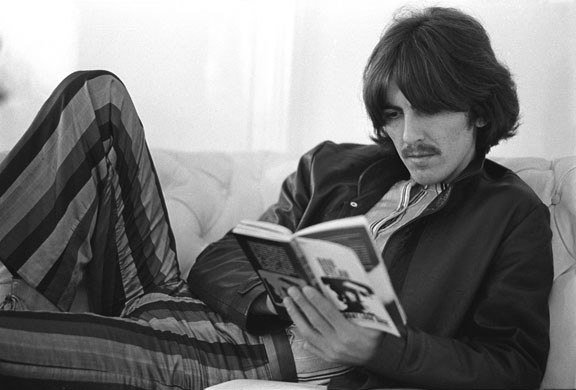 To commemorate this exciting year, as a birthday gift from me to you, my favorite photo of George Harrison is now available to visitors to my website, but only through the end of August 2012. The photograph is an absolutely gorgeous 11×14 inch pigment print produced by my friend, master printer, Tony Bonanno of Santa Fe. But wait, there’s more! 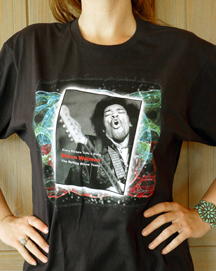 With each signed-by-me print, you will also receive this limited edition “Rolling Stone Years” tee-shirt. Believe it or not, the cost of the iconic George Harrison print and the tee is only $250, and shipping is free, but ONLY to United States addresses. For international addresses, select “Everywhere Else” below and an additional US$50 will be added to your order for shipping. Payment is easiest using the “Buy Now” button from PayPal below. Select your shipping destination, either the United States or “Everywhere Else.” My PayPal account is connected to this email address: bwolman@fotobaron.com. And don’t forget to include the tee-shirt size you would like as well as your phone number in the PayPal memo. « This is a Cool Video… Take a Peek!